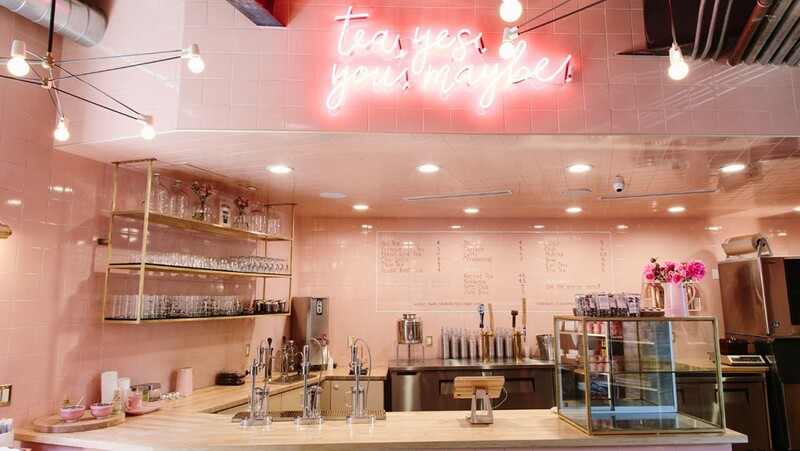 Definitely a must visit in LA and of course one of the most Instagrammable tea shops! 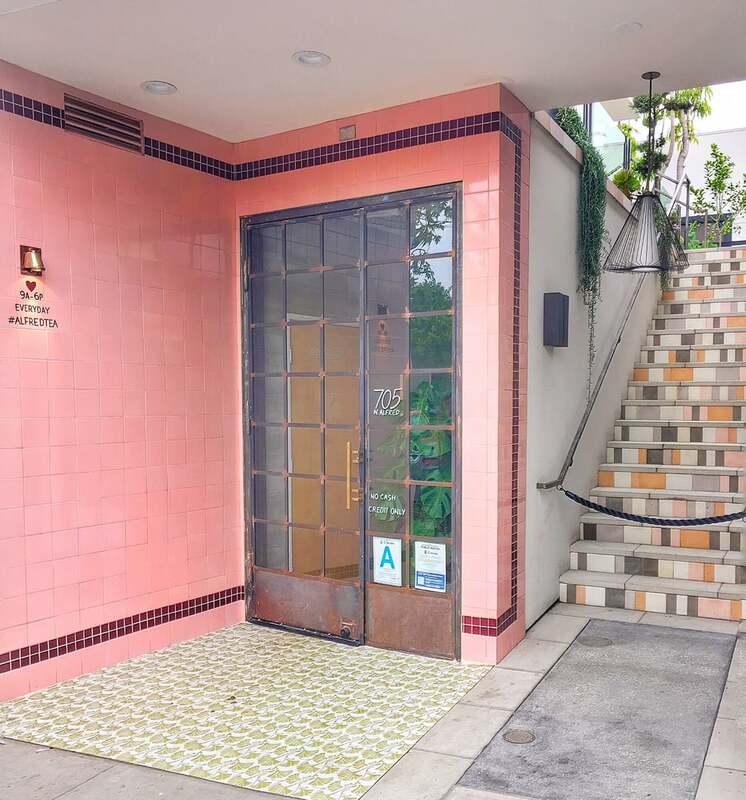 Not to mention you never know who you might run into on Melrose Place One of my favorites on the menu, the Matcha Iced Tea with Boba of course! For my tea date with the ever so stylish Styled By Reah ( you can find her here ) I threw on this casual but colorful dress from Lucky Brand via Gwynnie Bee (yes again, I told you I would be featuring some of my top outfits from them this month!) and paired it with my denim jacket from Slink Jeans. As always I was carrying my favorite red bag from Annabel Ingall! I would like to personally congratulate you as your blog Lovely In LA has been selected by our panelist as one of the Top 100 Plus Size Fashion Blogs on the web. I personally give you a high-five and want to thank you for your contribution to this world. This is the most comprehensive list of Top 100 Plus Size Fashion Blogs on the internet and I’m honored to have you as part of this!